Hungary has confirmed the plans to cut the value-added tax rate on internet access services to 5%. This move comes notwithstanding the fact that the measure could be in breach of EU law, as such services are not included in Annex III of the EU VAT Directive, which sets out a preventive list of those goods and services that may be subject to a VAT reduced rate. 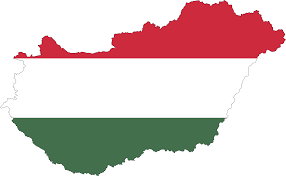 Hungary’s change to the value-added tax regime in this respect was announced in Hungary’s 2017 Budget, in which Hungary declared that it would cut the VAT rate on such services from 27% to 18%. Despite unofficial calls from the EU tax commissioner Pierre Moscovici for Hungary to hold off on the changes, the country has continued irrespective. Simultaneously it has pushed for the inclusion of internet access services to be included in Annex III of the EU VAT Directive, as part of the Commission’s ongoing proposal to allow a reduced rate of VAT for certain digital supplies such as for eBooks. This funding in order to boost internet adoption will cost the government an estimated €70mln per annum.